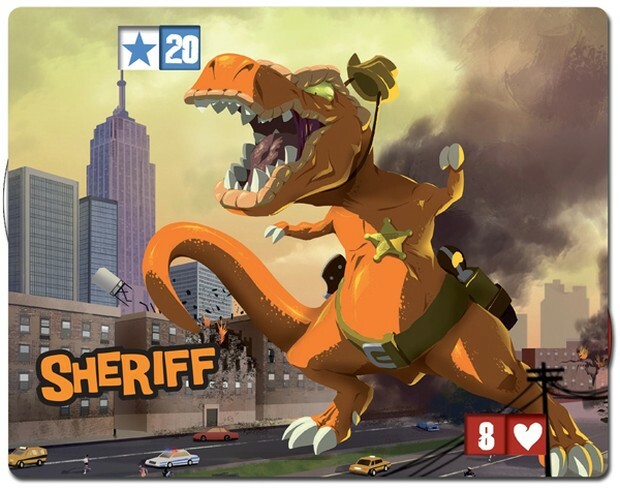 A little news on the board gaming front. Richard Garfield's, The King of Tokyo was a Christmas present for Conor. The game was a pretty big hit a few years back. The concept is fairly simple, you take on the role of one of the games monsters and fight to the death or be the first to accumulate 20 victory points. We have had a lot of fun with it and purchased a number of subsequent add ons. KoT was a big hit with the boys who like the fabulous art and the action. Like Castle Panic there is lots of dice rolling, random upgrades and role playing. It is hard not to make monster noises while you are attacking others. Lets face it, who dislikes a slug-fest? 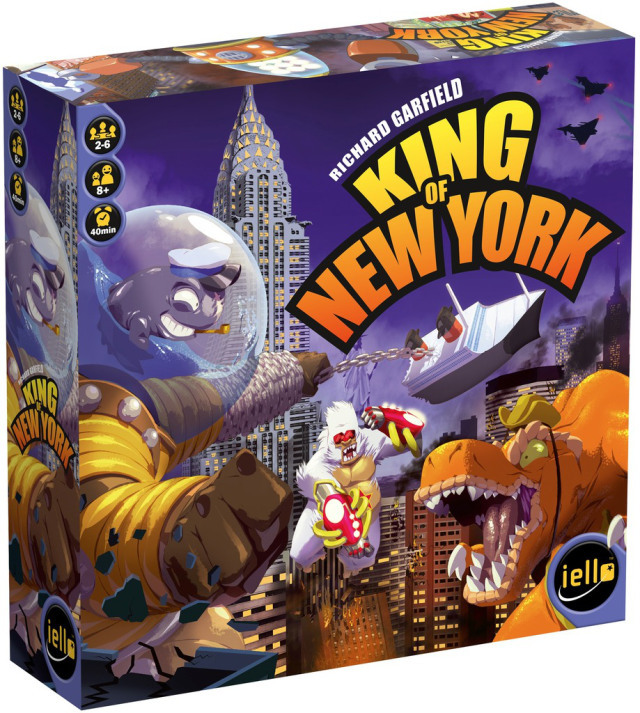 Last Fall the publisher released a new game, King of New York. I had been hesitating to purchase feeling it was the same game in a different locale - the boroughs of New York. Based on the success of the first one, I finally caved and purchased KoNY this week. The mechanics are similar to the original. However, the introduction of new action cards, the Statue of Liberty super card, military units and buildings makes for a new experience without a major learning curve. The added decisions creates new ways to play - and win. Sure it is a little more complicated but it provides a different gaming experience than the original. Is it better than the original? Perhaps, but I like to think of it as a different game. It enhances the gaming experience in a way that does diminish KoT. In my opinion, the changes - including the stomp mechanism and changes to the dice - make it worth while and different enough to justify owning both.